Panelpolls.com is a site where young people and families share their opinions AND EARN $CASH$ OR E-GIFT CARDS!!!! NOW THAT'S COOL!!! It doesn't get any better than that! Take fun surveys, test new online games, check-out new TV shows, vote for favorites, participate in discussions—have fun and let your voice be heard! + Who may participate in the Panel? Panelpolls is open to kids 2-14 (through their parent—a parent is the member and must review and approve their child’s participation for each activity), teens 15-17, young adults 18-34 and parents of children ages 0-17. Panelpolls members must meet certain eligibility criteria and membership may be limited. + Why is it that sometimes you do not accept new members? Membership is restricted to keep the panel size small so that the experience for members is rewarding (they get to participate in more activities and earn more points). + How do I become a Panel Member? + What is the cost of Panel membership? + What do I get for being a Panel Member? As a registered Panel member you will have the opportunity to express your opinions, views, and wishes about a variety of topics! Each time you (or your children) complete a survey or other eligible panel activity you will be credited with points that accumulate in your account and can be redeemed periodically for cash or gifts when your balance is sufficient. Each invitation for a particular panel activity informs you of the associated points for that activity. Currently, points may be redeemed for a check or Amazon® Gift Card*. The minimum points balance requirement for a gift card is 10,000 points, equivalent to $10.00. The minimum points balance requirement for a check is 20,000 points, equivalent to $20.00. The current conversion rate is: 1,000 points = $1.00 (USD). Please log into your account and click on the ‘Info’ link at the top of the page for the details on the points/rewards program. Points are earned for online activities like taking polls/surveys, visiting websites, referring friends, participating in discussions, writing a blog, etc. Each invitation for a particular panel activity informs you of the associated points for that activity. Points accumulate in your account and when the balance reaches the minimum balance requirement or greater, you may redeem them for cash or e-gift card. The current conversion rate is: 1,000 points = $1.00 (USD). Please log into your account and click on the 'Info' link at the top of the page for the most current details on the points/rewards program. + How do I check/redeem my points? It’s easy! Simply go to the Panel website, log in (enter your account name and password). To check your points once logged in, click "History" – here you will be able to see the points in your account and the surveys/activities you have earned them for. To redeem your points, go to "Redeem" page. + How will I know when there is a Panel survey or other activity? Panel members receive notice about Panel assignments from us via email. If you haven't done so already, please add us to your safe list. ISP's change their filters often which may cause your survey/panel activity invitation to end up in your junk email folder or it may be blocked completely. It's a good idea to check your subfolders to make sure you don't miss any of our survey invitations. Click here for instructions on how to add us to your Safe Sender list in your email accounts. You can also check for surveys and other panel activities by logging into your account--if there are any surveys it will say so on your "Home" page. + How often will I participate in surveys or other Panel activities? Based on the information provided during the registration survey we will send you an invitation whenever there is a survey, game test, website evaluation, forum, or discussion, or other panel activity available. You will be able to quickly review the nature and requirements of a given panel activity and decide in seconds whether to participate. You can participate in as many or as few of the panel activities as you wish. If you are a parent you will receive notifictaions about Panel activities for your children and may review and decide if you would like your child to participate. + How is my privacy protected? + Why am I not getting survey invitations? To combat SPAM, many mail servers and Internet Service Providers (ISPs) use high-tech filtering devices to ensure that you receive as little or no SPAM as possible. We know how annoying SPAM can be, and we support efforts made to reduce SPAM. However, some legitimate email that you want to receive, like our survey invitations, may be mistakenly flagged as SPAM and never make it to your mailbox. To make sure you continue to receive survey invitations, please add us to your list of trusted senders. Click here for instructions. + What if I am no longer interested in participating? You may cancel your membership at anytime by logging into your account go to “Cancel Membership” (at bottom of every page). + PARENTS: What do I/my child get for being a Panel Member? As a registered Panel member you/your child will have the opportunity to express your/his or her opinions, views, and wishes about a variety of topics! Each time you/your child completes a survey or other eligible panel activity you will be credited with points that accumulate in your account and can be redeemed periodically for cash or gift card when your balance is sufficient. Currently, points may be redeemed for a gift card when your points balance has reached 10,000 points or greater and may be redeemed for a check when your points balance has reached 20,000 points or greater. The current conversion rate is: 1,000 points = $1.00 (USD). Please log into your account and click on the 'Info' link for the details on the points/rewards program. + PARENTS: What is expected of me/my child? Most Panel activities will simply involve our asking you/your child (via email) to complete a brief survey for which points will be credited to your household account. NOTE: Survey invitations are sent via email. Invitations for your child will indicate that the activity is for your child but invitations will be sent to YOUR email address. If you wish for your child to participate in a survey, simply give her/him the link. The surveys are designed to be easily understood, interesting and fun to do. Kids really enjoy them! No personally identifiable information will be asked of your child. While most Panel activities will involve your child, we also may be interested in talking to parents from time to time to get their perspective. Of course, you will also be eligible to earn points each time you participate in a specific activity for the panel. + PARENTS: Why am I getting survey invitations but my child(ren) is not? This is most likely because you have not updated your account with your child(ren)’s information. Please log into your account, go to “Edit”, click “Add a child(ren) to your account” and provide the information for your child(ren). Remember all invitations are sent to you—you decide if you want your child to participate. NOTE: Survey invitations are sent via email. Invitations for your child will indicate that the activity is for your child but they will be sent to YOUR email address. If you wish for your child to participate in a survey, simply give her/him the link. + PARENTS: Can I have more than one child participate? Yes, as long as you are the parent of that child and that child ages 6-17 resides within your household. Your teen may create his/her own account as long as he/she is 15 years old or older so that they have their own account. They will receive survey/other panel activity invitations at their own email address. They will have their own points account and can redeem them on their own when they meet the requirements. Please send an email to surveys@coolopinions.net to notify us of this change. + PARENTS: What if I/my child are unable to, or don't want to, complete a particular Panel survey/ activity? 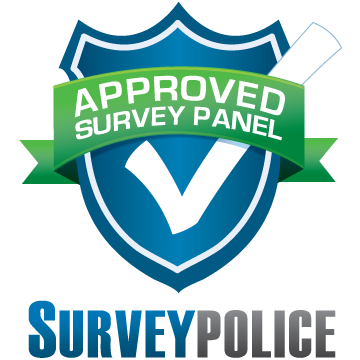 It is up to you whether you or your child participates in any given survey or panel activity--there is never an obligation to participate in any specific survey or other Panel activity. NOTE: Survey invitations are sent via email. Invitations for your child will be personalized for him/her but they will be sent to YOUR email address. If you wish your child to participate in a survey simply give him/her the link.